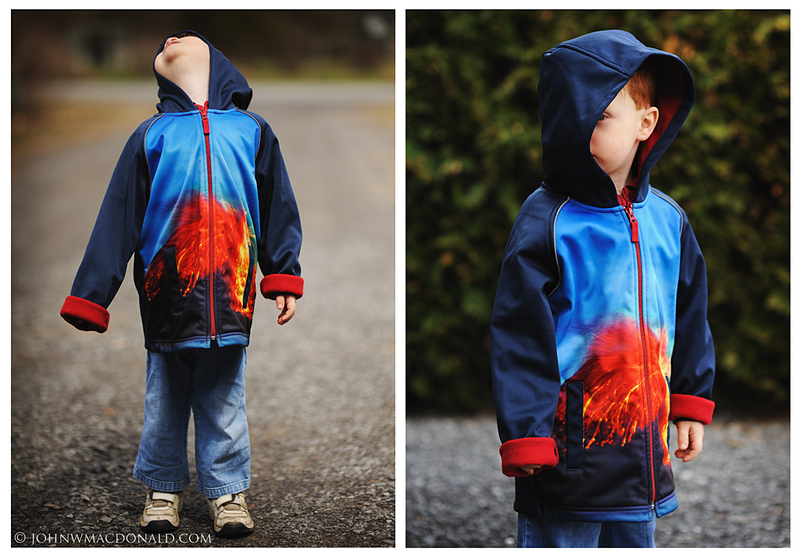 George Murray (happy birthday, by the way) posted a photo of his son in a volcano jacket last November on facebook. I saw it and so did my own son. Needless to say I ordered one for him online straight away. So cool, it's hot!! !